To a soundtrack, incongruous, of looped, recorded messages and chimes, a fruit-machine’s idle-tune, snatches of other people’s conversations and the staggered, intermittent hiss, quieter or louder, of steam-arms at espresso bars dotted about the terminal, a memory came to me: of free-wheeling down a hill as a child, riding my second bike. 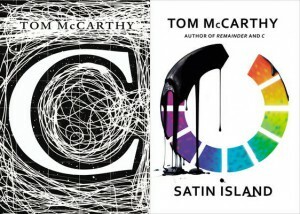 But this is a Tom McCarthy novel, and the hints are already there from the beginning that the inner depths for which we may hope are just an illusion. In the first chapter, U. is waiting in the airport terminal, surrounded by screens – phones, computers, the rolling news channel which packages up bombing and oil spills alongside the sports highlights. It’s a whirlwind of a chapter that shows just how easily the most serious events can be turned into gleaming surface detail. But it’s not that odd, really, nor difficult to get into. Look forward to hearing what you think about Satin Island. 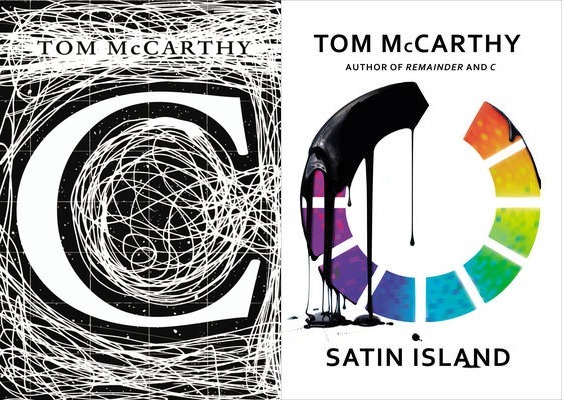 I’m a big fan of Tom McCarthy and loved Remainder.